It surely isn’t the first time we’ve seen a quirky automaker look to the smartphone in order to add a bit of pizazz to the morning drive — Mini owners far and wide have plenty of inside jokes when it comes to the Mini Connected app. That being said, SmileDrive might just have the market cornered when it comes to all-out joviality. The free app, which was launched today by Volkswagen of America and Google, is presently only available for Android devices. (And yes, it’s a result of Google’s Art, Copy & Code project.) In a nutshell, it connects to any vehicle via Bluetooth (yes, Fiats and Ferraris as well) and runs in the background while a drive is ongoing. Once the wheels have stopped and the ignition has been switched off, it uses factors like location, distance, time and weather to deliver users their Smile Score and awards them with stickers — think of ’em as Foursquare badges for motorists. On a longer road trip, SmileDrive offers the ability to create a Smilecast: a dynamic travelogue filled with the captured photos, maps of the trip, status updates, as well as other memories that are collected on a single URL. It all sounds pretty fantastic, if we’re honest, but allow us to offer up a tip: make sure you phone’s plugged into a charger. Wouldn’t want that background action to drain too much of your battery, now would you? Vizio’s 42-inch soundbar is all fine and dandy, but not everyone has the TV or budget to justify that kind of audio — college students, anyone? The company is clearly aware of this problem, as it just announced three soundbars built for smaller screens like those in the M-Series. 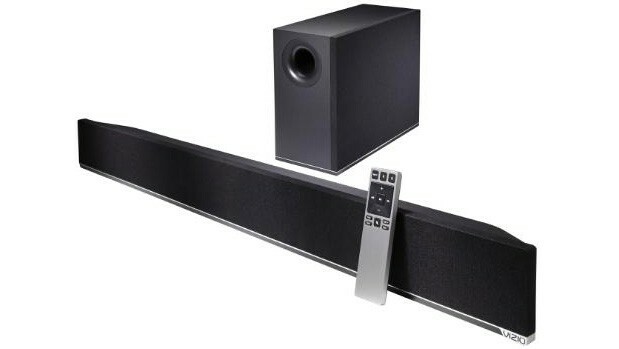 The 29-inch S2920w ($80) and 38-inch S3820w ($120) cater to simple setups with 2.0-channel sound, while the 38-inch S3821w ($180) adds a wireless subwoofer for some extra oomph. All three support Bluetooth streaming from nearby devices, and they use DTS audio processing to both fill out the frequency range and hush noisy commercials. The soundbars will ship between late August and September, or just in time for the annual dorm room invasion. Microsoft’s Xbox One won’t allow users without Xbox Live Gold subscriptions to access its Game DVR, touted as one of the game console’s most important features. The console also won’t allow access to services like Skype, One Guide (the TV guide-esque software built in) and a variety of other internet-based services should its owner not pay the requisite $60 per year for Xbox Live Gold membership. 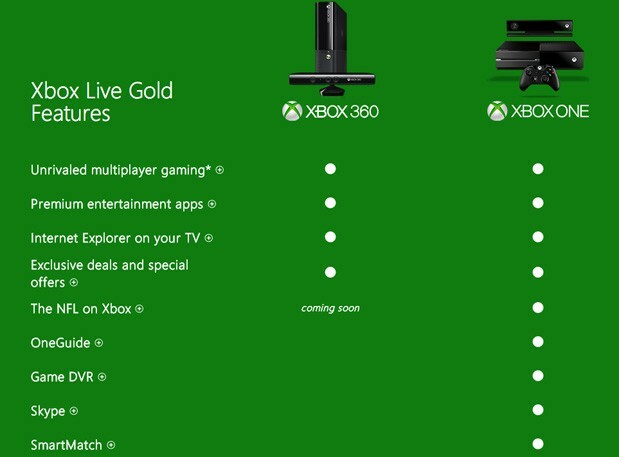 An Xbox.com page lists the features (seen above), while OneHitPixel reportedly got confirmation from Microsoft on the Game DVR not working without XBL Gold. Of course, the Xbox 360 version of Xbox Live Gold membership enables basic internet-based functionality like streaming Netflix / Hulu / etc., and multiplayer gaming. By contrast, Sony’s PlayStation Plus membership on PlayStation Vita and PlayStation 3 offers free games each month (Microsoft started doing something similar recently as well), though non-members on both consoles can use various online services (including online play and content streaming); that’s changing on the PlayStation 4, where PS Plus membership is required for most online games. 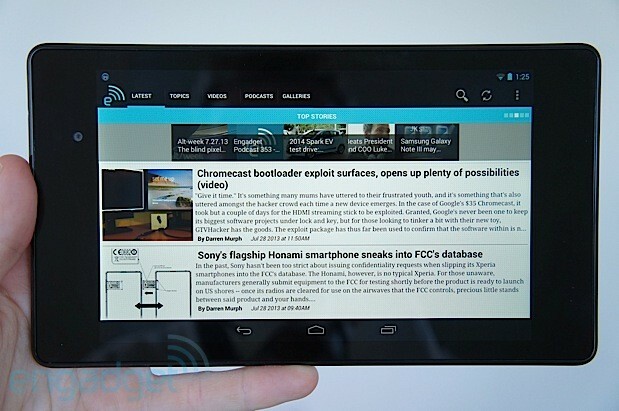 If you’re upset that Google hasn’t posted factory images for the new Nexus 7, you’re not alone. Android Open Source Project maintainer Jean-Baptiste Quéru has just confirmed that he’s leaving his role in the wake of legal issues that prevent him from publishing a Nexus 7 image with working graphics. While he isn’t specific about the nature of the conflict, Android Police and others believe that Qualcomm isn’t ready to offer its video drivers for use in AOSP builds. We’ve reached out to both Google and Qualcomm, and we’ll let you know if they have any further insight. In the meantime, don’t expect a Nexus 7 image anytime soon — Google will likely need a new AOSP overseer, and Quéru doesn’t see any progress on the horizon. This entry was posted on August 7, 2013, 5:32 pm and is filed under Mobility. You can follow any responses to this entry through RSS 2.0. Both comments and pings are currently closed.